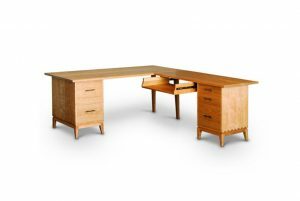 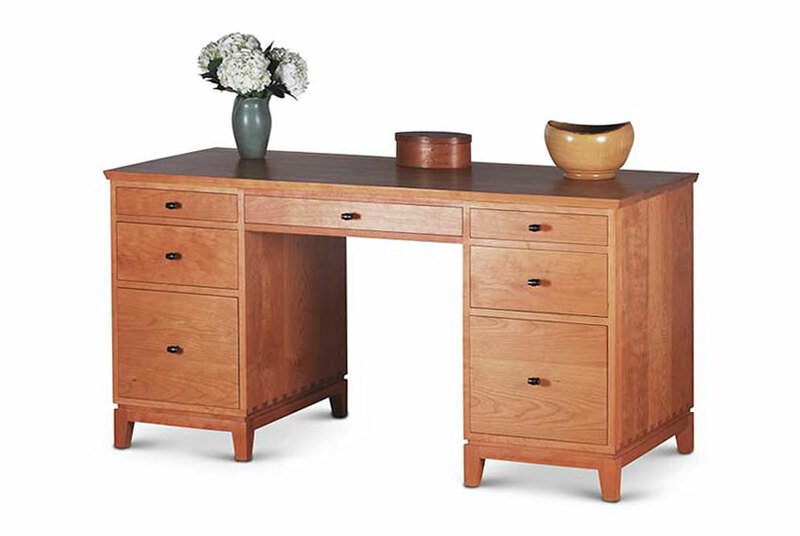 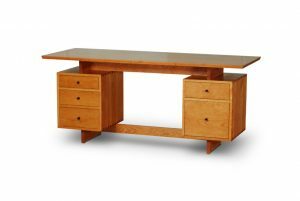 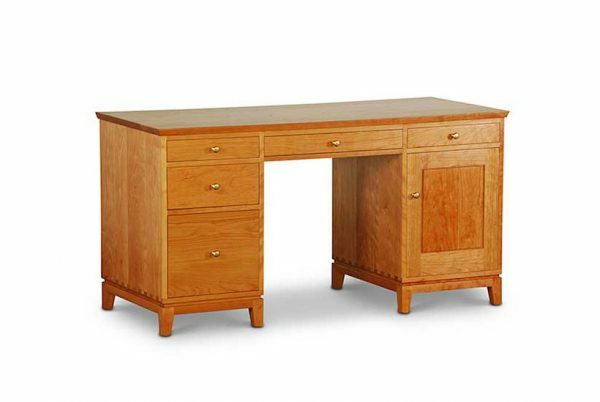 Our double pedestal desk is perfect for the small office/home office. 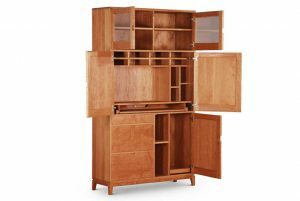 Offered in solid cherry, as shown, walnut and birch. 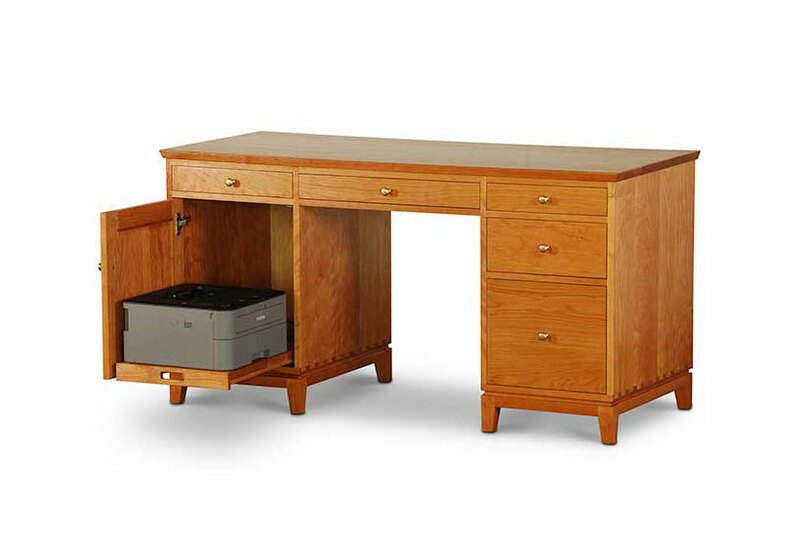 Pedestals can be configured with a combination of drawers or a door to enclose a printer pull-out. 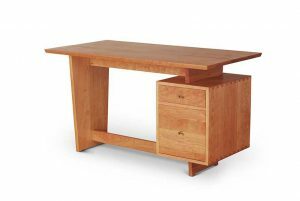 Model shown measures 60″ by 30″ deep by 29″ high.